In the wake of last week's dramatic 3DS price cut, Nintendo President and CEO Satoru Iwata has published a letter of apology to consumers who paid full price for it. Nintendo announced last week that less than six months after launch, the price of the 3DS was being cut from $249.99 to $169.99, a huge reduction that's bound to make the device a lot more appealing to interested consumers who were put off by the cost. It's also very likely going to annoy at least some of the folks who laid down 250 smackers to buy the thing when it first came out. Nintendo softened the blow a bit by offering 20 free downloadable games to early adopters, but Satoru Iwata wants you to know that he still feels bad about it. 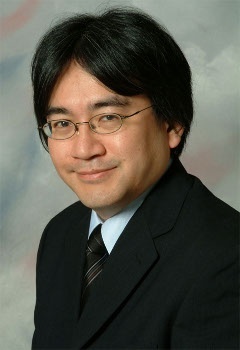 A letter to fans, written by Iwata, was posted on Nintendo's Japanese website and although it hasn't been officially translated to English, Giant Bomb took the task upon itself, describing it as "about as heartfelt and genuine as you could expect from the head of a major corporation." "In the past, there have been price drops for videogame systems some time after their release in order to broaden the user base further. However, never before has Nintendo chosen to issue such a dramatic price drop less than six months after a system release," Iwata wrote. "We are all too keenly aware that those of you who supported us by purchasing the 3DS in the beginning may feel betrayed and criticize this decision." He explained that "the situation has changed greatly" since the launch of the 3DS and that Nintendo felt the need to impose the cut in order to attract more customers, not just to maintain the bottom line but also to keep game makers and retailers interested in the product. Without that, the critical mass needed to create a successful product cycle won't be achieved, and that's bad for company and customers alike. "We feel a strong responsibility to develop the 3DS as a platform -- to ensure that, in the end, everyone is satisfied," he wrote. "We will make every effort to do so." A similar letter, not attributed to a particular individual, was posted on Nintendo's European website but at last look nothing comparable had appeared on the North American site. The 3DS price drop takes effect on August 12; current owners have until then to connect to the 3DS eShop to automatically enroll in the 3DS Ambassador plan, which will include ten free NES virtual console games and ten free GBA games. Further details, including a full list of the games up for grabs, are on the way.